High Resolution Consulting have assisted more than 60 NHS trusts in identifying IM&T strategies aligned to their particular corporate business objectives and set within the broader national context. High Resolution Consulting recently started a new division within the company “High Resolution Resourcing” providing on-going support and customer care through our Operations Management to the delivery of IM&T solutions. The old website didn’t offer the ability to sepeate the two divisions with sperate logos and brand colours. 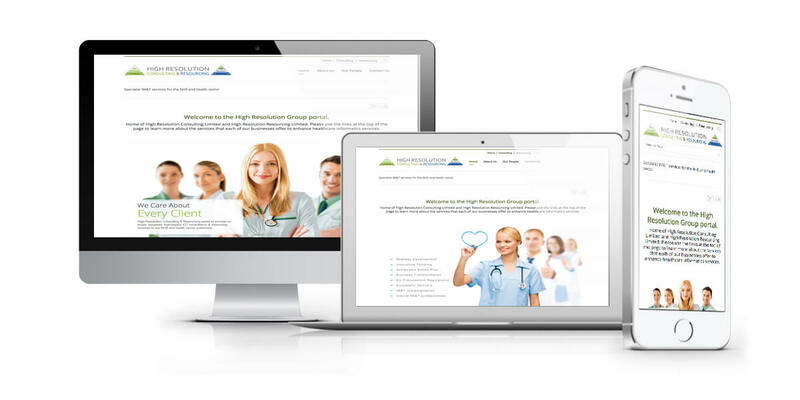 3-Degrees were tasked with buiding a new website that would accomodate content for both High Resolution Consulting & Resourcing.